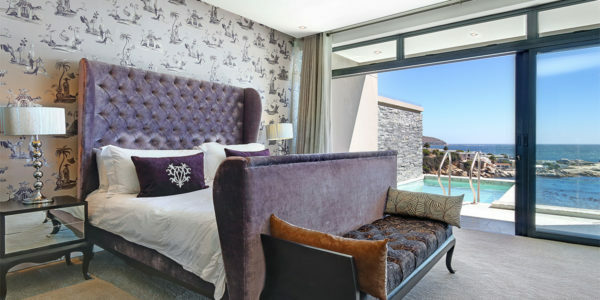 Enjoy an unforgettable stay at the elegant Eden Villa. 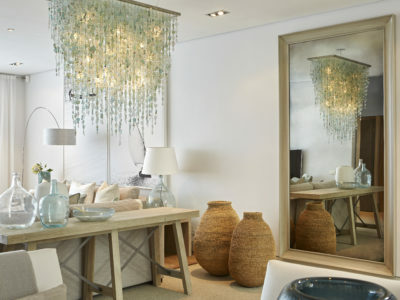 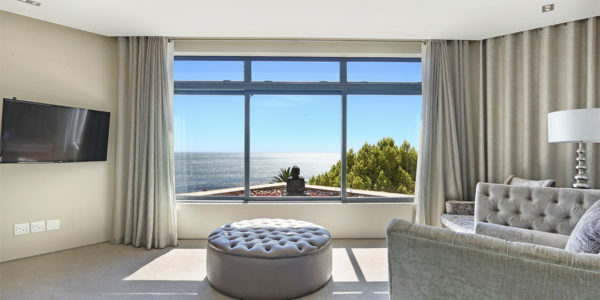 This Villa effuses modern elegance with spacious interiors all complemented by bespoke décor. 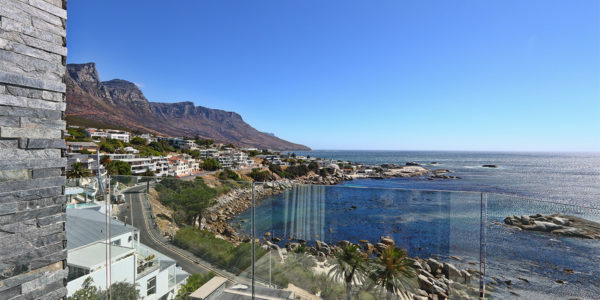 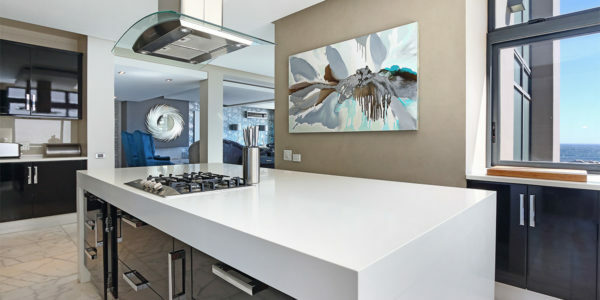 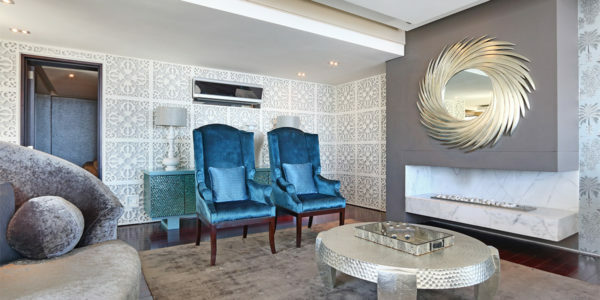 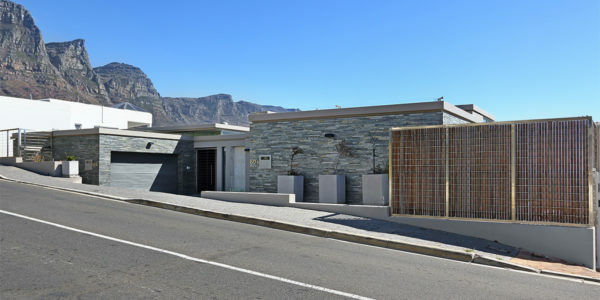 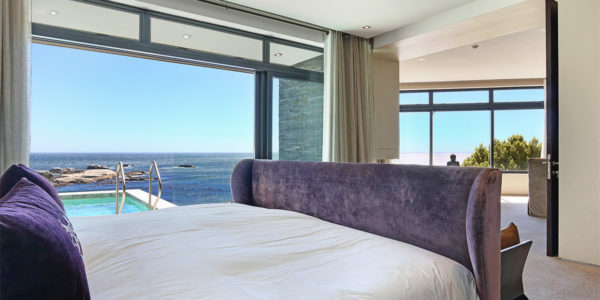 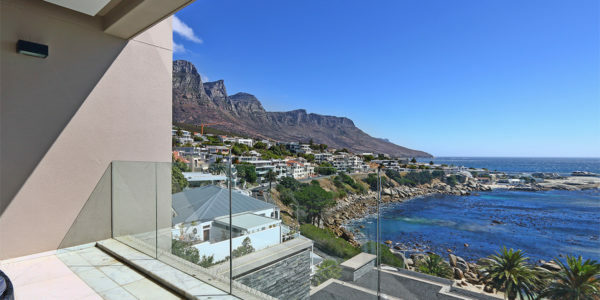 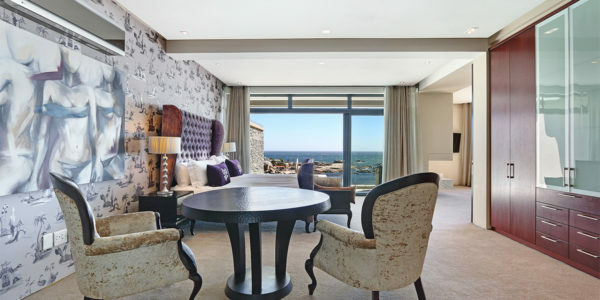 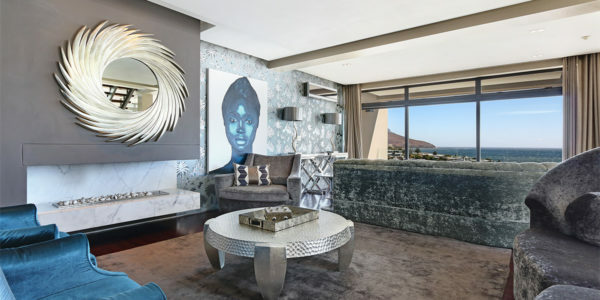 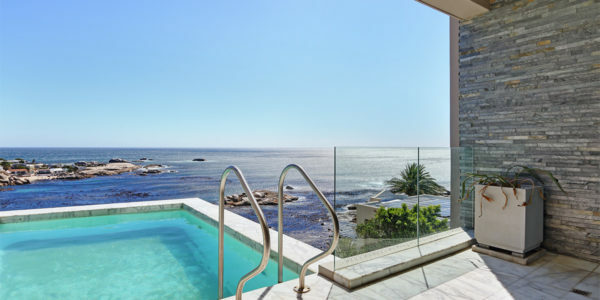 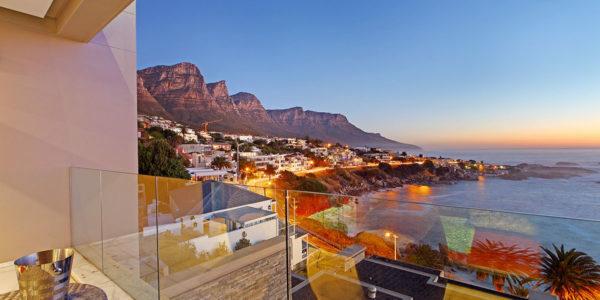 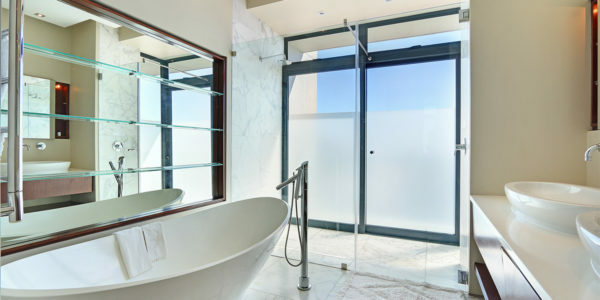 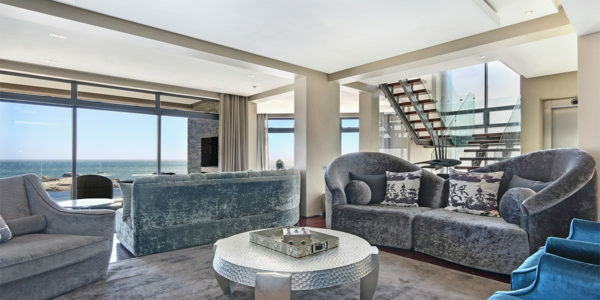 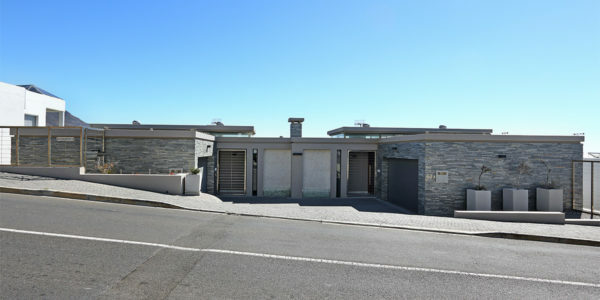 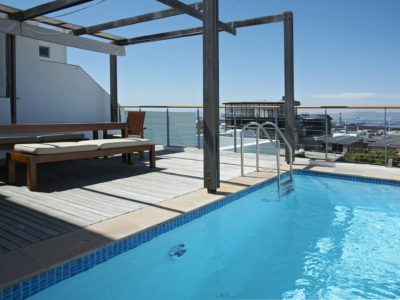 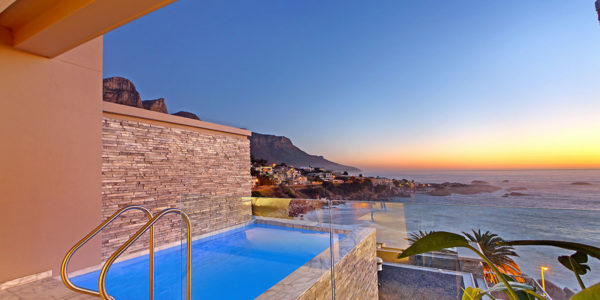 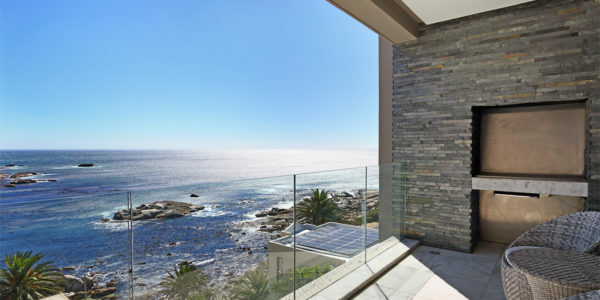 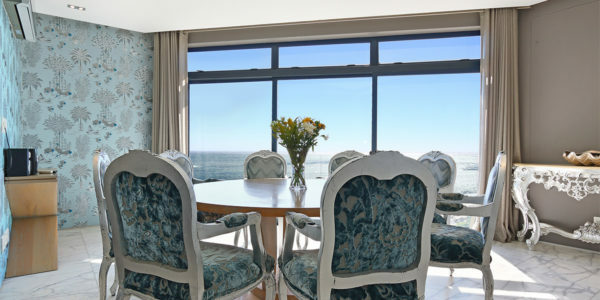 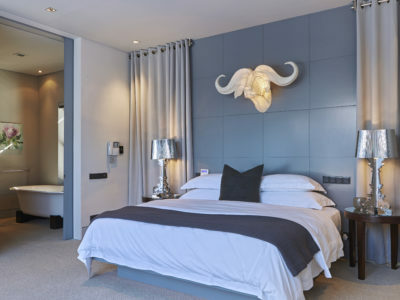 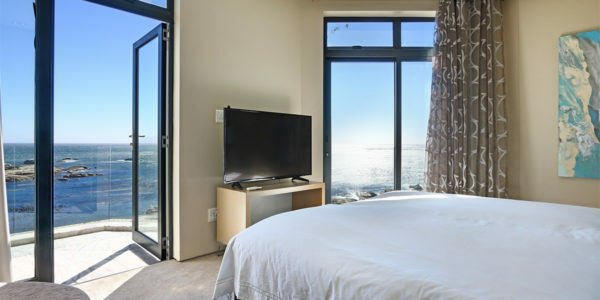 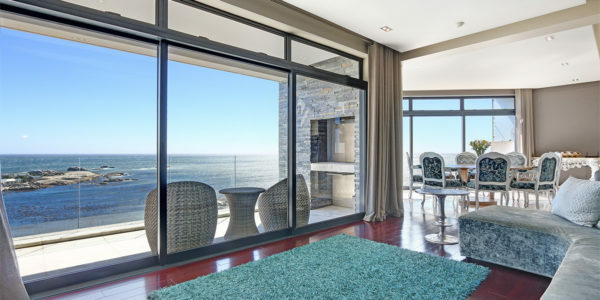 Centrally located in Camps Bay you will be able to enjoy spectacular ocean views spanning out towards the Twelve Apostles. 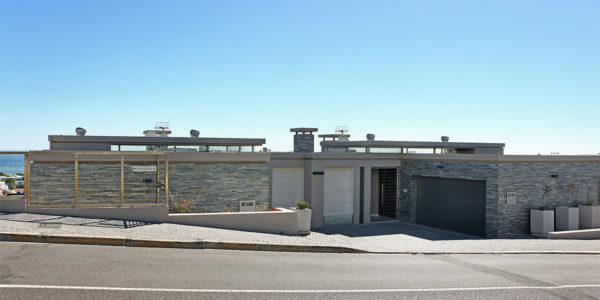 This Villa comprises of 4 levels. 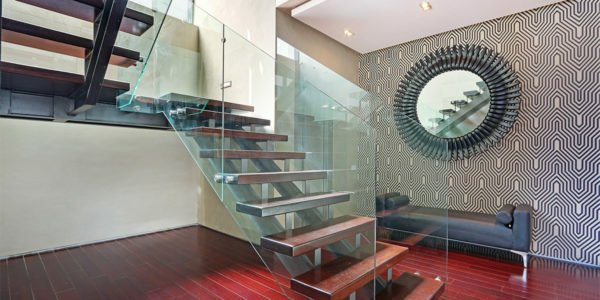 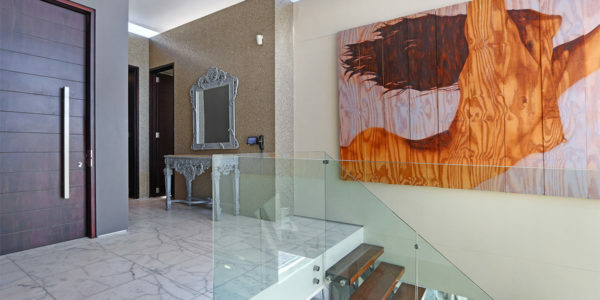 The top being your entrance and home to one of the four suites which awaits you. 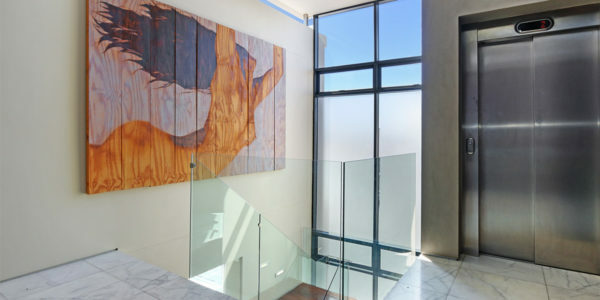 There is also lift access allowing for easy movement through the 4 levels. 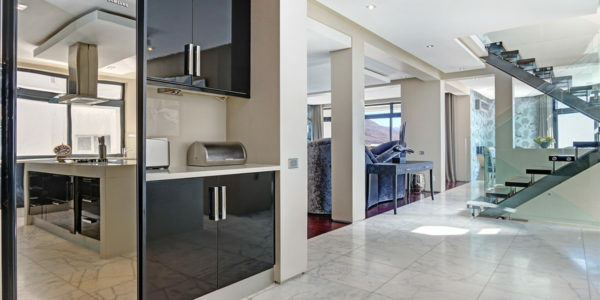 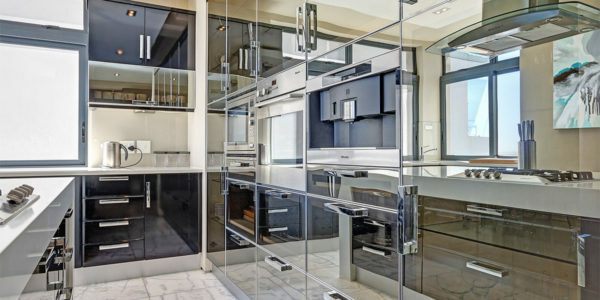 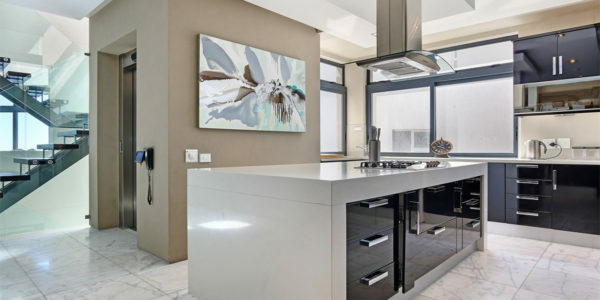 The open plan kitchen one level down is fully equipped with top of the range appliances, and has a separate scullery. 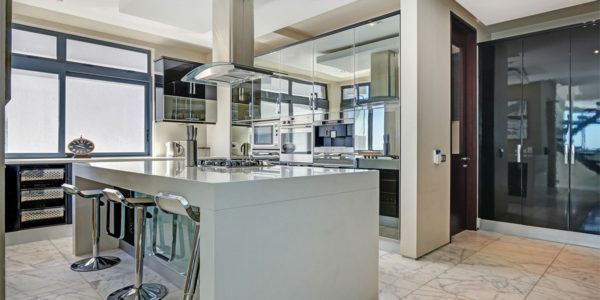 The kitchen opens onto the large living room and dining room. 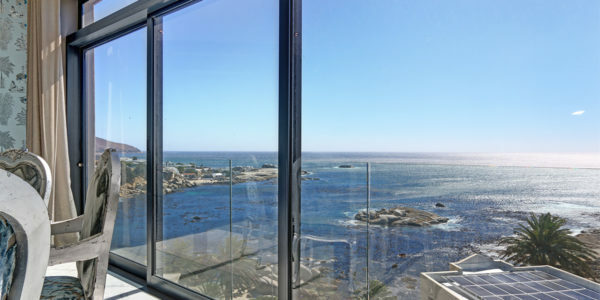 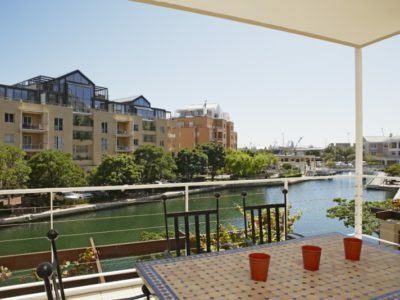 Ideal for entertaining this level has its own balcony with spectacular sea views, ample seating and a fireplace. 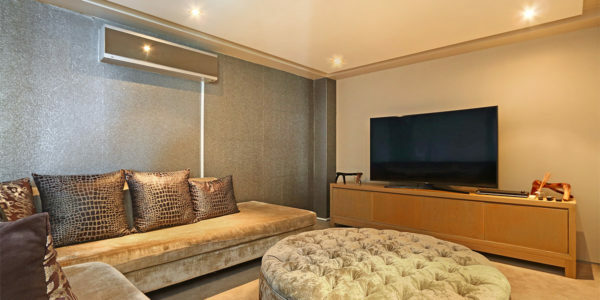 There is also a separate cinema room for those who wish to have a break away. 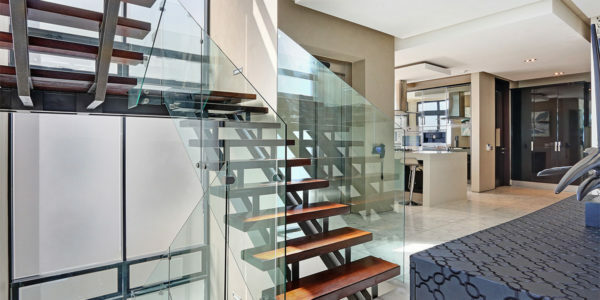 Moving onto the third level down you will find 2 more luxurious suites. 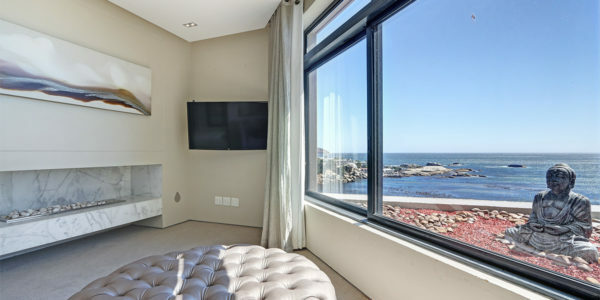 The Master suite has its own living room and fireplace. 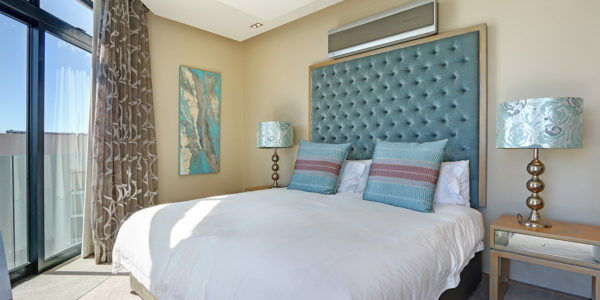 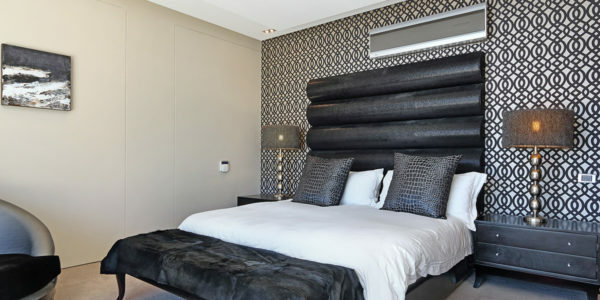 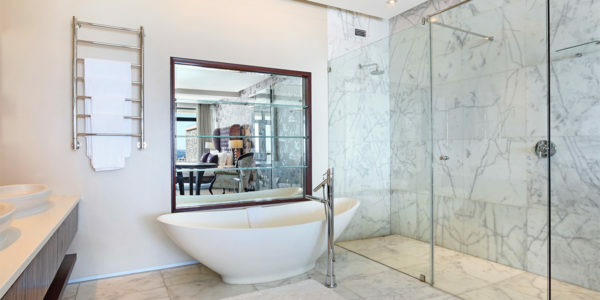 Each bedroom offers a large en-suite bathroom with double vanities, walk in showers and ample cupboard space. 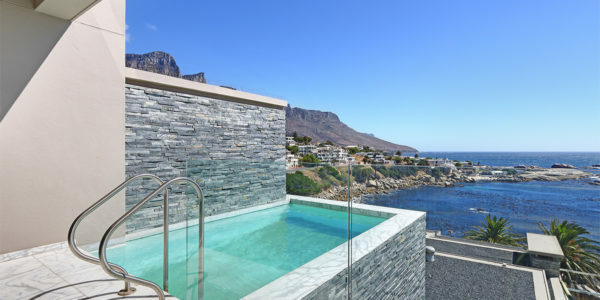 The pool is also accessed from this level.